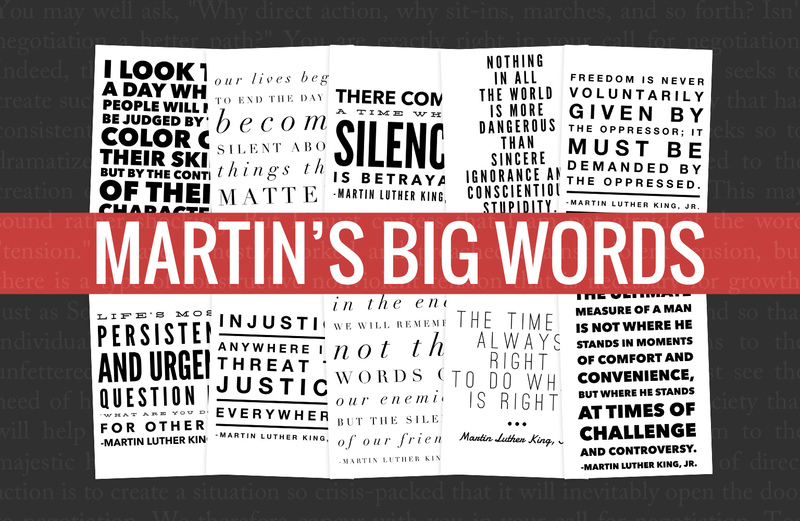 Martin's Big Words: More Than a Dream | I Teach. What's Your Superpower? 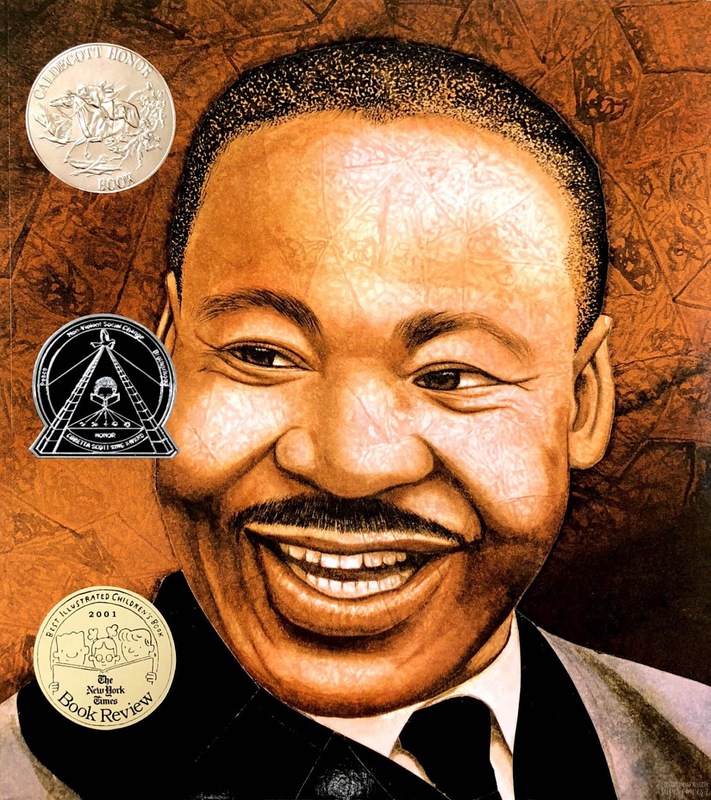 Martin's Big Words by Doreen Rappaport is one of my favorite picture books to share with students as we learn about Martin Luther King, Jr. and the Civil Rights Movement. This past year, I have focused on being a passionate listener. Being silent and listening to the voices and experiences of others requires a different and more challenging skill set than speaking about things we are passionate about and opinions we hold. Many of the voices I have been growing from have pushed me to go beyond the surface level Martin Luther King, Jr. that I have unintentionally given my students. He had a dream, he was a man of peace, laws were unfair, and now we move on. This year, we'll take a look at some of his big words that go beyond the dream. Words that are just as true then as they are now. 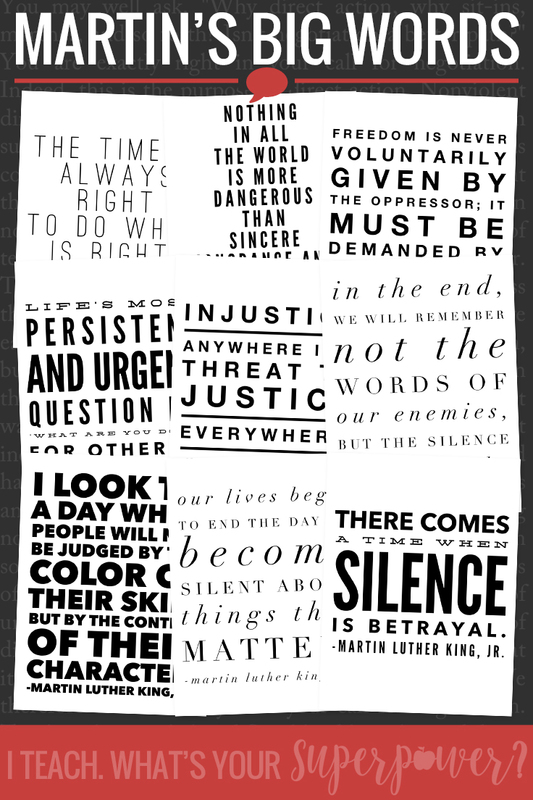 Words that shape how our students see and interact with the world. These were made using the WordSwag app. I saved the images on my phone, sent them to my computer, put them in PowerPoint, and saved the file as a pdf. To make life a little easier, I copied the text for the quotes from my computer and texted them to myself. This meant I only had to copy and paste the text into the app instead of typing everything. If you want to make multiple quotes, this is a big time saver. I've put these up in my classroom (click here or on the image to download) but haven't said a word about them yet. They are BIG ideas, and I think big ideas need a little time to sink in, to wonder about. My students are reading them, they are talking about them, they are telling me which ones are their favorites. On their own. With no prompting from me. 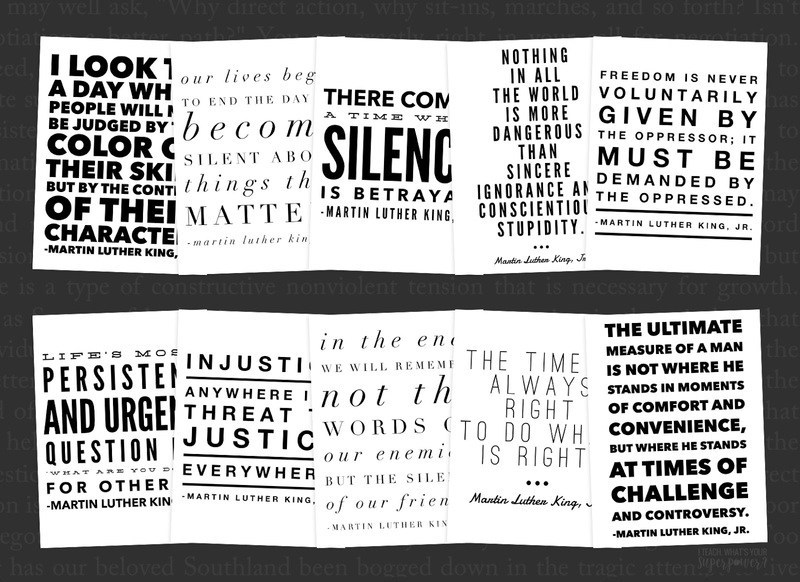 As we shift into discussing Martin Luther King, Jr., and the Civil Rights Movement next week, we'll discuss these quotes directly. Looking for voices that will help extend your understanding? This awesome video on Rosa Parks from Tool Cool for Middle School. This PowerPoint from Angela Watson on negative vs. positive peace. And this blog post from Sarah Plumitello on the well intentioned egg lesson. I'd love to hear from you on more voices to follow and grow with. Thank you SO much for sharing these quotes....I love them!